Here's an intriguing album. 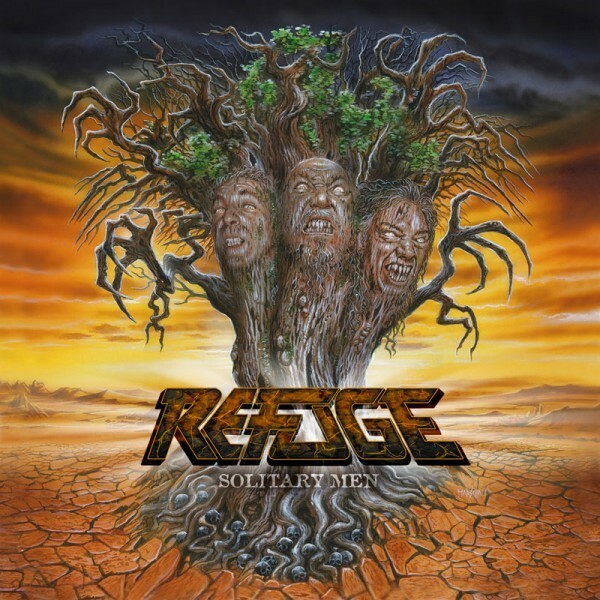 Refuge is a new safe place for former Rage colleagues Peavy Wagner (bass and vocals), Manni Schmidt (guitars) and Christos Efthimiadis (drums) to come to continue their musical friendship without fear of interruption or retribution. 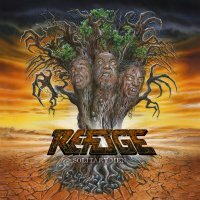 In fact, with the name taken from the title of a Rage song, Refuge is nothing less than the return of the 1988-93 Rage line-up in a new guise. What began as a live reformation "for fun" and initially led to just a few gigs has now evolved into a new lease of life for the trio – albeit one that remains a sideline – and here they are, not only with a new name but with an album full of brand spanking new material. From the first few chords of opener 'Summer's Winter', it's clear that 'Solitary Men' is good, solid, stomping Heavy Metal. No posturing, no pretence, no concessions, no prisoners. The guys mean business and you're either with them or you're not. Strong riffs, neat lead breaks, a power-packing rhythm section and no little regard for melody – Wagner, Schmidt and Efthimiadis are clearly men who know their craft. There's little let up in power, pace, style or quality, which isn't to say that 'Solitary Men' is one dimensional or lacks variety. Alongside the more straight-forward Metal anthems, 'Mind Over Matter' offers a nice blend of free-flowing riff and vocal melody. 'Let Me Go' and 'Hell Freeze Over' offer distinctive and colourful interpretations of the genre. The former is almost poppy, save for the drums which create a fascinating clash of sonic push and pull. 'Living On The Edge Of Time' is notable for its slower, more dramatic opening sections, with a Sabbath-esque riff, a mid-track change of pace and Satan-based lyrics offering a strong nod of the head to Birmingham's blackest. Closing track 'Waterfalls', complete with sound effects, provides a further sense of the epic, building slowly across its seven minutes and rounding off the album proper in satisfying style. I'm still not sure what to make of the somewhat contradictory juxtaposition of the words "solitary" and "men" in the album title. Intriguing cleverness or a case of mind your language? Perhaps it's not worth dwelling on the matter. From a musical perspective, Refuge deliver an album that is certain to keep hordes of Metal fans happy. "Up the horns for Refuge!" they say – indeed!